This is the first article I have written for a website since the days of Duke Nukem 3D, so bear with me. The film adaptation of Marvel’s Dr. Strange is coming to theatres November 4th 2016 for those of us here in the States, so I thought I would take a moment to offer some information and opinions on the character of Dr. Stephen Strange. hands beyond a point of repair to ever do surgery again. Strange’s life took a downward spiral from here, becoming depressed and having exhausted all his financial options in the effort to regain his skills, he came across a reclusive and mysterious old man known as the Ancient One. 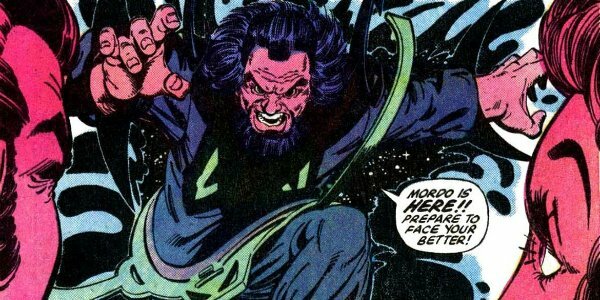 on Strange preventing him from helping or warning the Ancient One.Mordo was defeated none the less, but upon learning of Strange’s selfless attempt to help him, the Ancient One agreed to take Strange on as a pupil,and begins his training in the Mystic Arts. also joined several teams over the years at different points in time.The Defenders (my personal favorite team for him to be on) consisted primarily of Dr. Strange,the Silver Surfer,Hulk, and Namor the Submariner.The Defenders had their own title for quite some time (plus a few reboots) and paired up with the Avengers a few times.Known as the first “anti-team” due to the fact that they did not get along at all. Other members included Beast and Angel of X-Men fame, Valkyrie, Gargoyle, Darkhawk and Moondragon. Dr. Strange has also served as an Avenger, I doubt there is a need to explain who they are, and is a member of Marvel’s Illuminati, along with Black Bolt, Namor, Tony Stark, Professor Charles Xavier, and Reed Richards. On a more personal level ,Dr. Strange has had an on again,off again relationship with the other-dimensional energy being Clea, who happens to be the niece of one of Strange’s long time adversaries Dormammu,a demonic tyrant from the Dark Dimension. In addition to the upcoming movie and the comics,Dr. Strange has also appeared in several animated series including Spider-Man,and Super Hero Squad.He also has his own animated film which I highly recommend,and a made for tv movie from 1978,where he was played by Peter Hooten, which I only recommend if you are looking for a good laugh. Benedict Cumberbatch definitely looks the part in this new film, and I have high hopes for it, as I am a big fan of a lot of the lesser known Marvel characters like Doctor Strange,Black Panther,and Moon Knight. It’s good to see them getting some well deserved attention.There are enough great comic characters to avoid “superhero fatigue” for years as long as Marvel,DC,and others are not afraid to branch out into less mainstream heroes. Here’s hoping! Well that is about it for now,I hope you enjoyed reading this as much as I enjoyed writing it. Feel free to offer feedback,opinions,or requests for future articles.In the mean time…..
as a great man once said EXCELSIOR!!! Doctor Strange is a Marvel character created by Stan Lee and Steve Ditko. It was an immense joy to read this article. Not only because it is the first guest-written article, but because it comes from a good friend, as well. The passion for the medium really shone through in this piece. I hope you enjoyed a trip down Doctor Stange Lane. I know that I did. ← TEEN TITANS ADDING SIXTH MEMBER IN REBIRTH LAUNCH TITLE? ?